Thanks for sharing this blog! 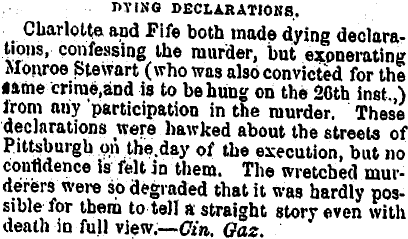 It’s nice to know that before hanging those convicts are the only way to give justice to the victims. Thank you for posting this. My ancestor, Jacob Bopp/Bupp was the one who made the ropes for the hangings, and I am working on research of each of the hangings he made ropes for, so this was helpful in laying out the entire crime!